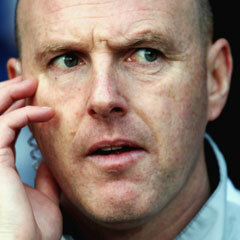 London - Blackburn Rovers' deputy chief executive wanted manager Steve Kean sacked in December, a leaked letter he sent to the club's Indian owners has revealed a day after the side were relegated from the Premier League. Paul Hunt's letter, obtained by the Sporting Intelligence website, also revealed his concerns about the club's financial position and the growing mood of supporter unrest at Ewood Park following the takeover of the club by Indian poultry firm Venky's in November 2010. So concerned was Hunt by what he saw as a worsening situation and the threat of relegation he asked Venky's chairman Anuradha Desai to allow him greater control of the north-west side. Blackburn were relegated from the lucrative English top flight on Monday following a 1-0 defeat at home to Wigan. During the course of the match both Scottish boss Kean, who has vowed to stay on, and Venky's were subjected to renewed abuse by angry fans, with one supporter releasing a chicken onto the pitch in protest. In his 2 500 word letter, Hunt, the most senior official at Ewood Park since the departure of former chairman John Williams more than a year ago, wrote: "I have been your senior officer at the club for six months now and I feel that I must now write to you to ask you to make some significant changes to save the club, perhaps from relegation but also perhaps from administration. "In 20 years of the Premier League there has been only one side that was bottom of the league at Christmas that has survived relegation at the end of the season. "I have kept quiet for a time now out of utmost respect and I trust that you realise that I am only emailing you now as I want what is only the best for Blackburn Rovers and the owners." Hunt then outlined a 10-point plan for reviving the club's fortunes, which made reference to Kean, who has been hugely unpopular with the Rovers' faithful since replacing the sacked Sam Allardyce shortly after Venky's takeover. "Publicly I have been asked to support the manager and I always have as I personally like Steve," wrote Hunt. "However, I am now of the opinion that it isn't working and he is ready to go." He also urged Venky's to invest in Blackburn, saying: "As you are aware Barclays (bank) have asked for the owners to put £10m into the business. "This needs to happen and I am confident that this could only be a loan as we would increase the value of the club significantly." He added: "We are losing fans/customers at an alarming rate. I am very concerned that fans are voting with their feet and not attending, not purchasing and not engaging with the club." Venky's ducked the media in India and Britain on Tuesday after no senior members of the family firm were seen at Ewood Park on Monday.